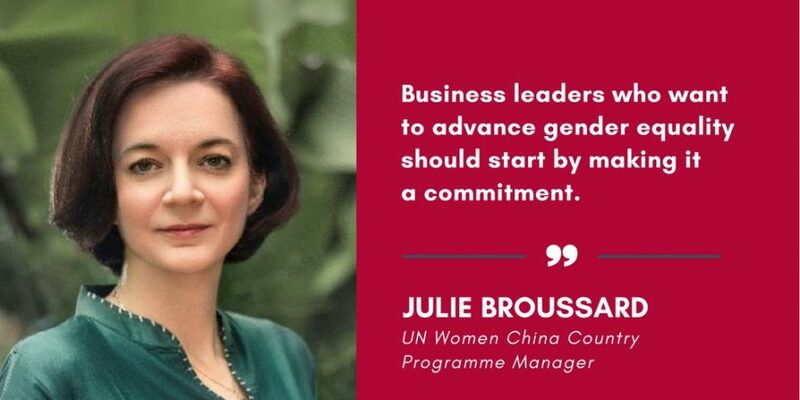 Ms. Julie Broussard is the Country Programme Manager for the UN Women China Office. She is also Chair of the UN Theme Group on Gender, a forum which advocates gender equality in the work of the UN System and wider donor community. As Head of the UN Women China office, Ms. Broussard oversees a variety of programs addressing gender & corporate social responsibility, gender dimensions of climate change and natural disasters, eliminating gender-based violence, women’s economic participation, and women’s political participation and leadership. Through the UN, she works closely with a variety of government institutions, including several ministries and the All China Women’s Federation. Before coming to UN Women, she worked for UNFPA, UNESCO, and the World Bank. Ms. Broussard received her MPA from the School of Public and Environmental Affairs from Indiana Univeristy and her EdD from the Harvard Graduate School of Education. Companies around the world have started to realize that promoting gender diversity in the workplace is not only a step forward toward gender parity, it’s also about hiring the best workers, including many highly talented women, in order to increase company performance. 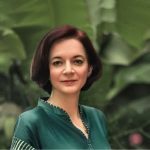 Research, such as data from the Korn Ferry study in the Asia-Pacific region, which included Chinese companies, found that companies with more women tend to have a higher return in equity; there is also a correlation between a higher number of female board of director members and better financial performance. Yet, CEOs don’t necessarily know how to make this a business reality. Business leaders who want to advance gender equality should start by making it a commitment. They can set specific targets, and implement policies to address issues such as closing the gender pay gap, achieving gender parity in senior management and board positions, making paid parental leave available to both men and women. Commitments must be bold, with a date by which they intend to achieve their targets. This strategy has proven to be effective. The ten business leaders who made a commitment to achieve gender parity in their company – at the launch of UN Women’s IMPACT 10x10x10 initiative in 2015 at the World Economic Forum in Davos – have seen impressive results in a short period of time. For example, Tupperware has achieved board parity (50%) while PwC has doubled its number of women in senior leadership in just 9 months, with women comprising 44% of these positions. Commitments with clear targets have given positive results, but CEOs must also commit to be transparent and publicly report data on their progress towards gender equality. This will also help identify gaps in existing practices and policies, and develop effective action plans. Companies will be able to learn from each other’s best practices, benchmarking performance against competitors. This will help attract and retain the best talents, half of whom are women. Transparency creates accountability, and only this way can commitments to achieve gender equality be taken seriously by employees, senior managers and outside stakeholders. Managers should explore the best practices to contribute to women’s professional development and foster the creation of an environment where they can realize their potentials. Companies around the world have implemented programmes to empower women. For example, Deloitte Australia’s programme ‘Inspiring Women’ supports women’s career development, both within and outside the company. Winners of the Inspiring Women Awards are provided with AUD 15,000 to further their education and complete courses of their choosing. Men’s active participation is key to build a more gender equal world. When men take the message of gender equality to other men, change happens. A simple way to engage men is to encourage them to support women in their careers. At work, it means creating an environment where women can grow, and advance their careers. We need more men – and women – to believe that women are as capable as men of making their voice heard in the corporate boardroom, and climb the management ladder. At home, support means sharing housework and care duties. These actions help women to have both a family and a career, and create a healthier environment for the whole family. In China, the traditional gender norms of “men working outside and women caring for the home” are still prevalent. Data from UNRISD shows that Chinese women spend on average almost three times as many hours as men on unpaid work, including housework and childcare. As a result, despite progress made in education – with women representing a little over half of university graduates – women are still under-represented in leadership and top-management positions, earn on average 35% less than men for performing similar work, and face employment discrimination. Yet, companies can dismantle traditional gender roles by implementing policies that enable men and women to share housework and childcare, such as paid parental leave. Chinese men are entitled to very little paternity leave, but companies could extend this leave beyond what is provided by the law. For example, PwC’s programme ‘Full Circle’ allows both men and women to leave the company temporarily for care reasons, with continued access to training and guaranteed return to their careers when they are ready. Gender equality means that men and women should have access to equal opportunities of growth and career advancements. The workplace should acknowledge family duties, but should not assume that they are the sole responsibility of women, rather the shared duty of both sexes. Promoting gender equality in the workplace is a step forward that paves the way for a better future for society and a stronger bottom line for companies.